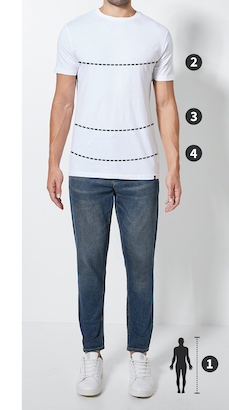 Please note that Superbalist men’s t-shirts, shirts, hoodies and jackets is designed to fit the following waist measurements. Some brands may vary from these measurements but the table can still be used as a guide. Simple button-up shirts are a timeless essential, so opt for quality to ensure both comfort and durability. This one ticks all the right boxes: it has a fine cotton construction with a tidy point collar, scoop hemline and slim fit. Pair it with chinos, dress shoes and a belt to match.